Last month, Fashion Studies students from 7 Edmonton Public High Schools showcased their designs at Kingsway Mall’s 8th annual Rock the Runway show. Over 70 high school fashion design students were challenged with creating royal themed outfits using a selection of limited supplies and preloved (aka: used) clothing. What an AMAZING night! So many talented student designers at last night’s @kingswaymall #rocktherunway. The show showcased garments designed & constructed by #yeg high school students. Congrats to the winner of the MC College tuition scholarship!! Congrats to the participating High Schools: Harry Ainlay, Ross Shepard, WP Wagner, M.E Lazerte, L.Y Cairns, Jasper Place High School and John A. McDougall School. ‘Rock the Runway’ is a student fashion show at Kingsway mall in support of the Edmonton Public Schools Foundation. The event showcases young fashion designers and their creativity. It’s not fashionable but I have a sweater that I took from home. It’s from the 80’s. It’s been patched and fixed many times, and the zipper definitely does not work but I love it because it reminds me of home and keeps me grounded. I grew up on a chicken farm in Landmark! It’s about 50 minutes away from Winnipeg. The town has around 2000 people. In my graduating class, there were around 30 people. That’s the largest graduating class Landmark has ever had! How did you get started in fashion design? Growing up, I’ve always been artistic but living in a small town there was not a lot of opportunity and not a lot to do. I always liked fashion and design. I remember flipping through Vogue and imagining what it was like to create outfits for models. As I got older, I realized that there was no way that I could express myself. I knew I had to move and do something completely different and far away from the small town life. When I graduated High School, I went to the University of Manitoba in general studies. In the program, I didn’t know where I was going. I was so unhappy in University. I realized after a year that I needed to get into something that made me happy: fashion. Ever since I started at MC, I’ve been happier because I am able to express my creativity through design. My friends and family have noticed it too. What is your favorite thing about the fashion program? I was one of the students in the program that didn’t know how to sew. I remember getting frustrated with myself because of that. Now, I love sewing because I can see myself getting better and better everyday. I also love illustrating. What do you like most about the fashion industry? I like that the industry is so versatile. There’s so much that goes on behind the scenes of a collection, garment, fashion show and photoshoot. As long as you are creative and open minded, there are so many opportunities to grow as a designer. What can we expect to see from your collection at the 2018 New Designers Fashion Show? Fun fabrics and colour -lot’s of chiffon and crepe combined with faux fur and fringe. The colour palette consists of pink, teal and yellows. My collection is called ‘Visions’. It is street wear inspired tchotchkes I’ve collected since I was young. The collection was also loosely inspired by the 70’s. I called the collection ‘Visions’ because it’s for someone who loves to daydream…someone who is optimistic and someone who just wants to “float” throughout their day. Do you have any social media advice for MC students? Take pictures with good lighting and only post your best photos! Favorite item in your wardrobe: Trench coats are so versatile and are always on trend. I love my classic trench and jacquard leopard print trench coat from h&m. Tell us something that would surprise people about you: I was in a dance group called House of Dam. Voguing, freestyling and waacking are dance forms that have played a huge influence on my life, fashion and styling. Fashion student and yoga instructor by day and performing artist by night, the MC Elite for this month goes out to Ashintha de Silva from the Edmonton campus. Growing up, I remember spending my waking days sketching gowns and costumes of all kinds but I never knew I could make a career in fashion. There were photographers in my family who influenced me to become passionate and involved in photography. But after High School, I decided to go my own way where I got into a cultural studies program at the U of A. After 3 years in the program, I moved to Toronto for some photography gigs. I ended up doing runway and backstage photos at Toronto Fashion Week (TFW) and did photos at events for Holt Renfrew. It was TFW that opened my eyes to a career in fashion. I never knew about the different possibilities and career choices. When I moved back to Edmonton, I finally pushed myself to enroll in fashion. Seeing garments come to life. I’ve always drawn, illustrated and photographed garments but I had never constructed them until I came to MC. The program has given me the tools to create, like pattern drafting!..There’s also a sense of community here. Even though there are 18 of us in the class, it feels like a family. I’ve gone to school at other places and I have never had this experience before. Even between the other programs, there’s a sense of community. Trends are always changing which forces you to always be on point and ahead of the game. I also love the fashion industry because there’s no right or wrong design perspective. You can expect to see a lot of prints and accents of black and gold. The prints are inspired by photos that I have taken, marbling techniques and by the artist, Gustav Klimt. My mom has always told me: don’t take things too personally. Don’t be afraid to share what you have created and accomplished. I was guilty of this before…I was always telling myself: what if someone judges my work or what if someone steals my idea?. If you’re proud of it, share it! What are your plans when you graduate? I would love to start my career at ‘off white’ clothing. What I love about them is that they are experimental in the sense that they incorporate different eras into one garment. My dream career is to create a fashion brand that makes a social impact by providing education and meaningful jobs for communities in developing countries. There is a not for profit brand called Krochet Kids Intl that has really inspired me. From the gardens at Versailles to braids and buns with Dads, we’re taking a look back at the top MC College highlights of 2017. Starting school and studying for exams while juggling personal relationships can be an exciting and stressful time for students. This December, we partnered with Morneau Shepell to bring MC College students the Student Support Program (SSP). Through this program, students have immediate and free access to mental health and wellness support. 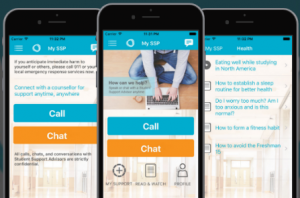 At the touch of a button, students can anonymously call or live chat, 24/7/365, with a qualified counsellor with years of clinical experience. From bold African inspired prints to faux fur and Japanese minimalist designs, graduates from the fashion design program in Edmonton and Winnipeg showcased their 8 outfit collection this past fall. Each garment was designed, constructed and produced by the graduates. Both shows were sold out to an audience of family, friends, MC College staff and alumni, media, fashion bloggers, local designers and representatives from Canadian retailers. Throughout 2017, each campus held a series of DIY Studio events that are free and open to the public. At these events, MC College Students and Staff show attendees how to create gory zombie makeup, apply falsies and more. This year, we had the following themes: the art of braiding, make & take body scrub and oil, lash bar, patch denim jacket, my Dad did my hair and Halloween makeup. Stay tuned for the next DIY event! 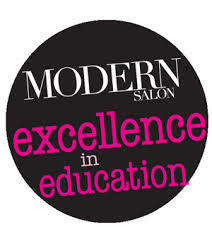 For this years’ Modern Salon’s Excellence in Education Awards, we were honoured to place first in the ‘alumni and advanced education’ category for our submission about our industry partnerships, MC Abroad to Paris, alumni program and the launch of the MC alumni web page. We were also a finalist in the ‘community involvement’ category. From internationally recognized brands such as Canada Goose, Manitobah Mukluks and Silver jeans to local designers such as Lennard Taylor, Winnipeg has historically been Canada’s garment manufacturing centre. On October 18, graduates from our Fashion Design program in Winnipeg showcased their 8 outfit collection at the 7th annual New Designers Fashion Show at the Manitoba Museum. The museum was the perfect venue as it was a walk through the history of Manitoba and Canada. Surrounded by exhibits about Indigenous lifestyles to vignettes celebrating Winnipeg’s historic streetscapes, the fashion show featured collections from Amy Aingidlik, Amy McPherson, Chelsea Sumter, Dimple Patel, Kalli Vera, Karleece Lapointe, Nancy Humann and Wendy Sinclair. As part of the fashion program, each graduate designed and constructed each garment from start to finish. Graduates drew inspiration for their collection from various aspects of their life and surroundings – from their cultural heritage to the concrete jungle. Voted as top 3 fashion events in Winnipeg by the Winnipeg Nightlife Awards, the show was sold out to an audience of family, friends, MC College staff and Alumni, media, fashion bloggers, photographers, local designers and representatives from Canadian retailers such as Nygard International, Reitman’s and Mondetta. After a year of being diagnosed with brain cancer, Tragically Hip Canadian superstar, Gord Downie, passed away on October 17, 2017 at the age of 53. As our final farewell and a tribute, we played “Ahead by a Century” during a portion of the fashion show. “Music brings people together. So my function in anything I do is to help bring people closer in” – Gord Downie. Did you catch us on Global Winnipeg? See it here! On April 8, all MC College campuses held an Open House that was 🔥🔥🔥; from special effects makeup and live fashion sketching to mini DIY (do-it-yourself) stations. Across the 6 campuses, over 300 people attended the event to experience what the #MCLife is all about, and to learn about career opportunities in the Beauty and Fashion Industry. Attendees tested out our interactive learning platform, Learn About Beauty, while getting the chance to tour the campus and meet the MC Squad: staff, students, graduates and industry partners. From a braiding and contouring bar to marble nails and spring updos, each campus set up mini DIY stations so that event attendees could try out the latest beauty trends on themselves. Swag bags and a $1000 tuition scholarship were also given out at each campus – congratulations to all of the winners! Attendees also got the chance to watch a live demo of mermaid hair, alien bleeding glitter, special effects makeup, microdermabrasions and chemical peels. Everyone who attended had the opportunity to play with mannequins and learn how to apply colour at the colour station. At the Edmonton and Winnipeg campus, there were stations set up so that visitors could try their hand at designing their own print, draping, fashion sketching and fashion illustration. 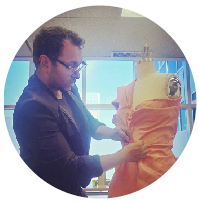 From fashion retailers such as Nygard International to detail oriented costumes at the Royal Winnipeg Ballet, Winnipeg has always been one of Canada’s epi-centers for fashion. 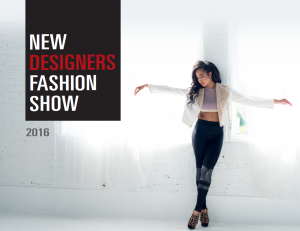 This past month, MC College introduced the next generation of Designers into Winnipeg’s fashion industry at the 6th annual New Designers Fashion Show. From silhouettes inspired by Winnipeg’s architecture to angular detailing, the fashion show included collections by MC College graduates: Linda Kroeker, Carley Wood, Maria Shendrik, Adara Pattersib, Regina Martens and Lauren Howie. 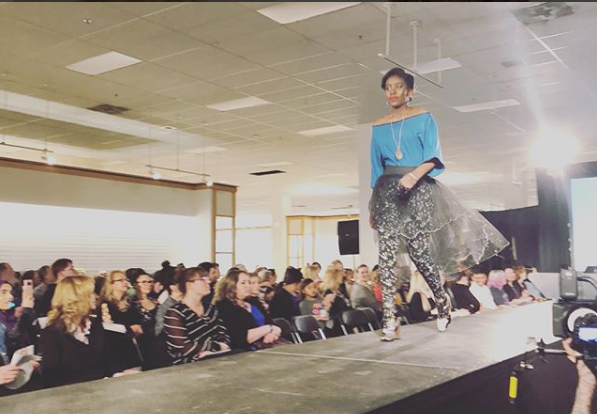 Hosted by Global TV’s Brittany Greenslade, the show was sold out to an audience of family, friends, local media, government officials, MC College staff and students, and Winnipeg’s fashion scene. In attendance were, Joe Cairo (President of MC College), Lennard Taylor, Monique Andrews Morrisette (Style Hunter Fox), Black Caviar Productions, Michael Silver (Silver Jeans), Valarie Barr-Jones (Government of Manitoba), Carly Klassen (Marshall Fabrics), Sheri Doyle (Mondetta Clothing) and Merle McDougall Kroeker (Rickis Clothing) to name a few. Did you catch MC College on Global Morning News and CTV Morning? Click here to watch! The show also featured three MC College Alumnus and local designers: Victoria Kakuktinniq of Victoria’s Arctic Fashions, Ruta Tewelde of House of aRT Fashion and Madison Tooth of Illformal. Huge shoutout to Manitobah Mukluks for sponsoring the footwear for her showcase. 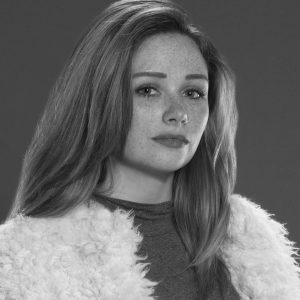 While taking the Fashion Technology program at Murdoch MacKay High School, Carley designed and styled costumes for two musicals. Back in June, Carley was named MC College’s Student of the Month! Her collection, Cityscape, was inspired by Winnipeg’s architecture. The collection incorporates a mix of Winnipeg’s old and new buildings. From the various shades of blue reflecting off skyscrapers to gray buildings tinted in pinks and purples at sunset, the collection is inspired by the colours that Carley observes throughout the city. Adara has always been a creative person. She sees every project as a puzzle to solve or an opportunity to create something new. At a young age, Adara was drawn to clean lines and angular shapes. Naturally, the art of origami became an influence in her designs. She believes that “the universe is based on the golden ratio, and the geometry of the universe is beauty.” Her collection, Edgeglow, incorporates angular detailing and smocking to create visual appeal based on geometry. 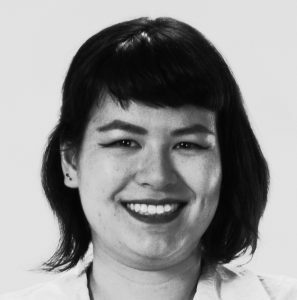 In the future, Adara plans to work in the fashion industry focusing on pattern making and garment construction where she can apply her love of problem solving and attention to detail. In 2012, Maria and her family immigrated to Canada from Russia. Growing up, she was always interested in Fashion Design. Maria has childhood memories of her and her family getting dressed up for dinner and family outings. These memories have since influenced her designs and styling choices. Her love of horseback riding, oil painting and playing the violin has also influenced her designs and her collection. 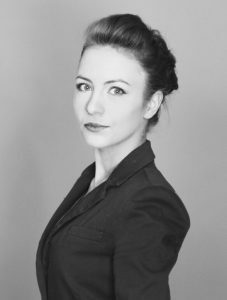 When she moved to Winnipeg, she decided to realize her dream career and enrolled at MC College. Maria’s collection, Grace, was inspired by royalty and the art of dressing royal woman for all occasions. With sleek silhouettes and clean lines, the collection features high quality fabrics and a feminine colour palette.